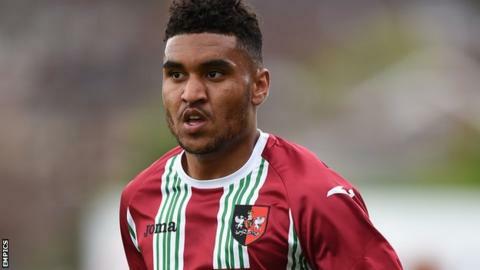 Truro boss Steve Tully says he expects his forwards to form good partnerships after signing Jamie Reid from Exeter. The 21-year-old striker joined on loan from the Grecians earlier this week and could make his debut against Havant and Waterlooville on Saturday. "I always said I wanted four centre forwards" Tully told BBC Cornwall. "I've got two quick ones now in Jamie Reid and Isaac Vassell and I've got the battering rams in Craig Duff and Matt Wright so we've got a good blend." He added: "Hopefully we'll get a partnership between the four of them that will click and hopefully go on and score us a lot of goals."